LONE PINE LAND TRUST is a land trust in Northumberland County, Ontario. As a member of the Ontario Land Trust Alliance, we focus on the Cold Creek Watershed. Cold Creek is one of the finest creeks remaining in eastern North America and our goal is to preserve as much as possible of the natural heritage of Cold Creek and its surrounding lands and forests. At present, we hold five tracts, all concentrated around the headwaters of Cold Creek and Marsh Creek. The Lone Pine Land Trust is a local success story, with a volunteer board of directors, members, land donors, and community volunteers and supporters, who have come together to do something of enduring value toward the preservation of land, water and diverse life in our area. We start our Annual General Meeting (AGM) with a field trip around the meadow. The pollinator meadow at the Braham Tract is alive with colour this time of year. Learn about the flowers, how to identify them, their usefulness and a few interesting facts. Bring your binoculars to observe pollinators in action and to fully enjoy the viewing platform that overlooks the marsh. After our field trip we will gather for lunch and the AGM. We hope to see as many members and friends as possible. This is also a great chance to talk with the Board, Land Stewards and key volunteers to find out how you can get more involved. The Munn track offers a wide variety of habitats from grassy meadow to old growth forest. As the wildlife that roam here throughout the day settle down for the night a whole new world comes to life. We will listen to the night sounds, call for owls and explore the vast diversity of nocturnal insects as we wander through the Munn property trails. Bring a flashlight or head lamp. A cycle of the seasons would not be complete without a hike through the fallen leaves amidst the flaming colours of autumn. This hike will take you up and then down through forests and wetlands to the banks of Cold Creek where we will take a short break to enjoy the view. McColl offers our most challenging hike with an elevation change, wet areas and difficult terrain. Wear appropriate footwear and bring your walking stick. The Lone Pine Land Trust gratefully acknowledges the support of The Ontario Trillium Foundation. 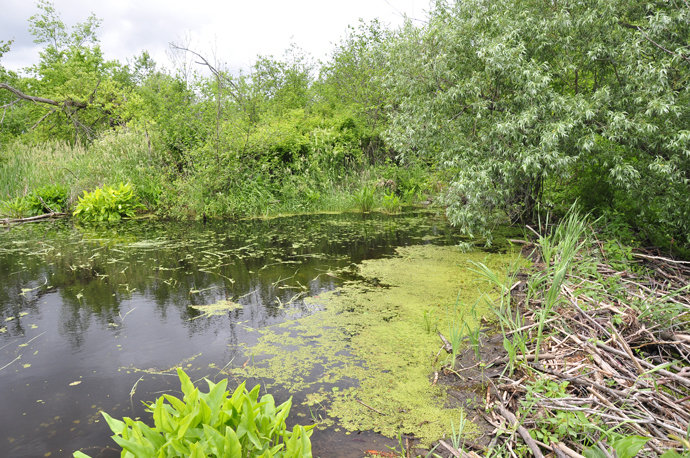 This website was developed with support from the Ontario Land Trust Alliance. We thank them for their support.